The aesthetic of Wilde Roast Café is cozy and gorgeous. Photo by Dubie Toa-Kwapong ’16. This week my quest for Twin Cities ‘kos’ took me to the Wilde Roast Café in Minneapolis. My sister’s friend introduced her to the café last year, and it became their steady study spot. She kept telling me “Dubs, we have to go there together!” So on Saturday this past weekend, I hopped on the 63 at Grand and Fairview bus stop. I disembarked on Raymond Avenue, from where the light rail carried me the Warehouse District, where I met up with my sister. 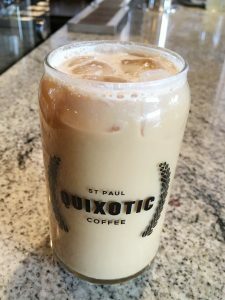 Enjoying the sunny weather and the cool autumn breeze, we walked the scenic route across the Hennepin Avenue Bridge to 65 Main Street, where were greeted by a sign: WILDE ROAST CAFÉ: Beverages – Bites – Temptations. The atmosphere was every bit as sensuous as the signage suggested. 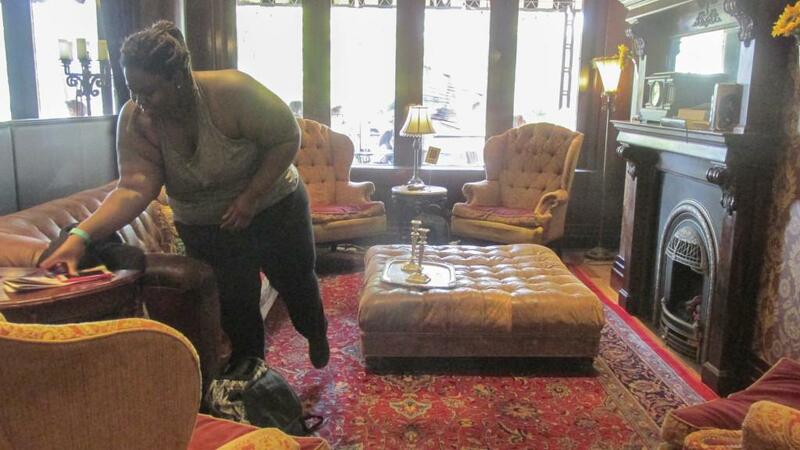 As you might glean from its name, the café is named for Irish author, poet and playwright Oscar Wilde. Aesthetically, the Wilde Roast is everything you want in a Wilde-inspired space: tones of burgundy, burnt orange and teal blue recur in the décor on the peacock motif pillars that line the walkways. and the thick velvet drapes that frame the windows. High ceilings and demure lighting cap this off to complete the gorgeous ambience. I’m gushing, but honestly the Wilde Roast is incredible. Its effortless blend of individuality and sophistication are, to me, a beautiful way to remember Oscar Wilde. So if you are looking for a new weekend brunch spot or a cozy off-campus study spot, the Wilde Roast is where it’s at. Tell them I sent you.